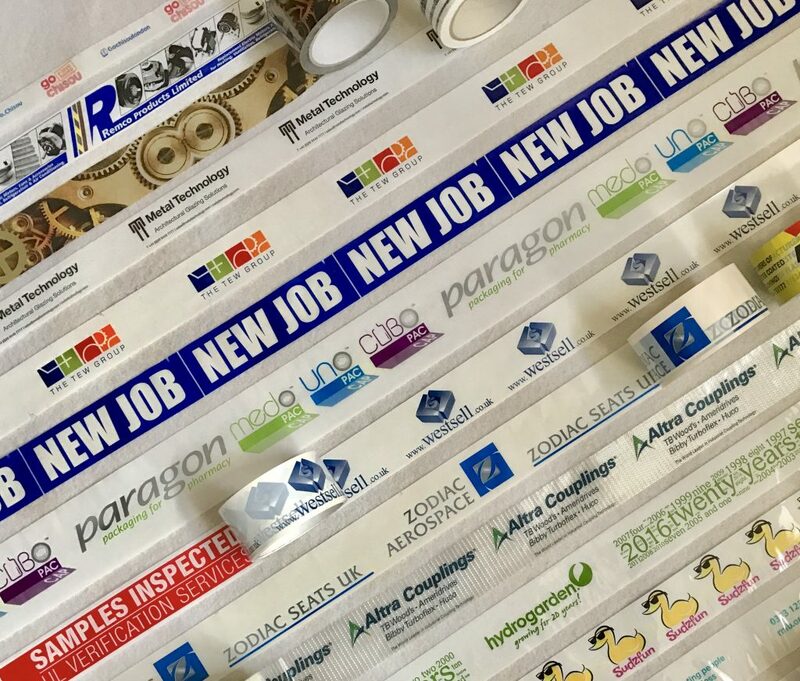 Corporate image, security sealing, company advertising – just some of the benefits of printing your company name or logo onto your adhesive sealing tape. Why not use the text to convey carton opening instructions to your customers? Printed adhesive tape can be readily produced to a customer’s own requirement with help from us at Westsell. We have a design and artwork service that can assist with the complete process – from advice and design to proofing and final product print. All our bespoke printed tapes are thoroughly checked by our quality control department to ensure a totally professional image to your despatched goods. Polypropylene is by comparison, a cheaper product to print but is commonly found to be thinner than vinyl ­ although this does not usually reflect in its strength. It is more difficult to print high definition work or close colours with this substrate but the technique is improving all the time. Polypropylene has a range of adhesives that can be applied to it, making this more adaptable for different applications in industry. For example: acrylic, solvent and hot melt adhesives can be applied. Sizes printed are similar to vinyl (PVC) but in addition, customers who operate automatic carton sealing machines in larger scale production lines can obtain rolls in 990 metre lengths from Westsell to minimise roll changes. Most polypropylene tapes are of the ‘easy release’ type. This makes them ideal for the automatic machine use and they will unwind with a much lower effort than vinyl but with similar adhesion. Vinyl adhesive tape is generally the easiest to print upon, giving a stronger colour and background than polypropylene. It is usually coated with a solvent based adhesive and is good for general packaging. Vinyl tape has a relatively ‘heavy’ unwind from the roll which tends to be a slow and smooth operation. Multiple colour prints and more detailed artwork are usually best printed upon vinyl.